We've seen beautiful galaxy inspired fashion and makeup, but what about hair. 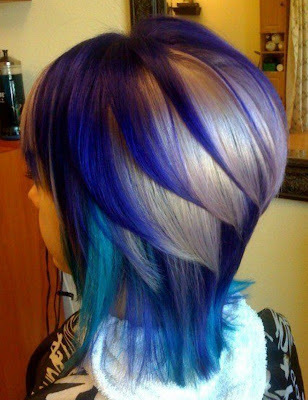 This is obviously for the more daring person, however it's just hair. If you hate it, you can always change the color, or style. 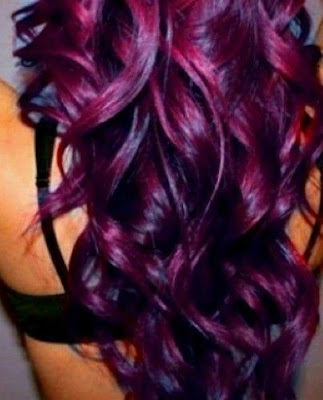 These hair colors remind me of sunsets, full moon light nights, red stormy clouds, passing planets, and twinkling stars. These are all things that we see from our mother planet, Earth. It's our view of our galaxy, The Milky Way, that we our planet and therefor we, live in. 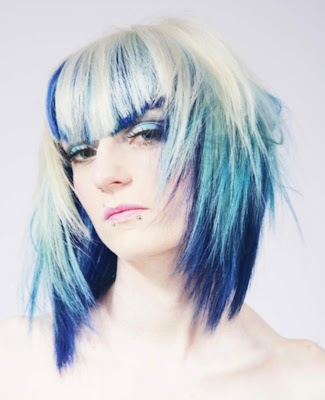 I couldn't find many of the original source of these photos to give the model and photographer credit, so most of these link back to the Pinterest pin in my Hair Styles and Color folder. As usual, if you know that info, feel free to comment below with it, and I will update this post. I'm not going to show you how to color your own hair. I'm not a hair color expert. I've probably colored my own hair about 6 times...and most of the times weren't even. I should probably trust a professional more often, but I'm impatient, and I like painting. Hair is a great canvas for creating beautiful artwork, but I suggest paying a professional to color your hair. At least for bleaching your hair, especially if you have long hair. Heck, I had very short hair the time my husband and I tried to bleach my hair, and had to go to a professional to fix that experiment. 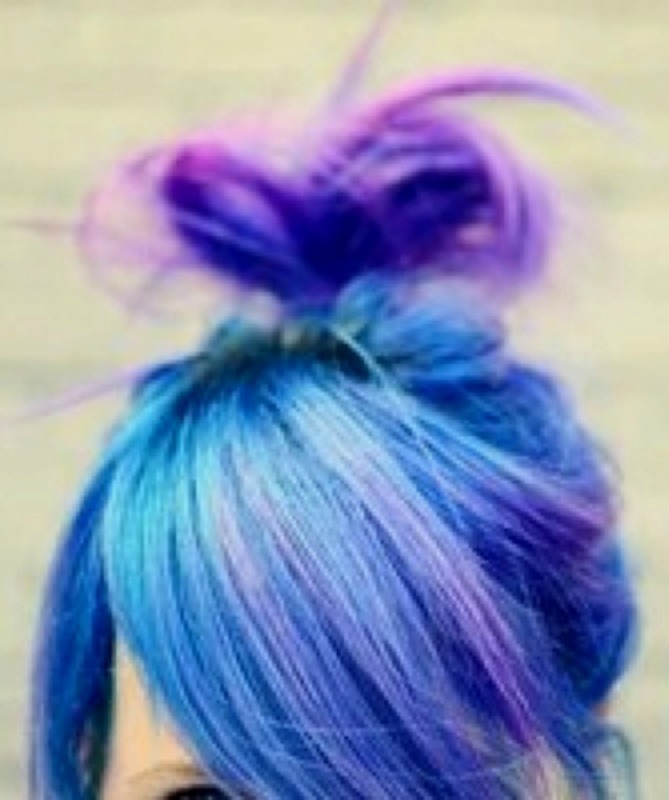 What I am going to share with you is the trend of hair chalking. What is that, you ask. 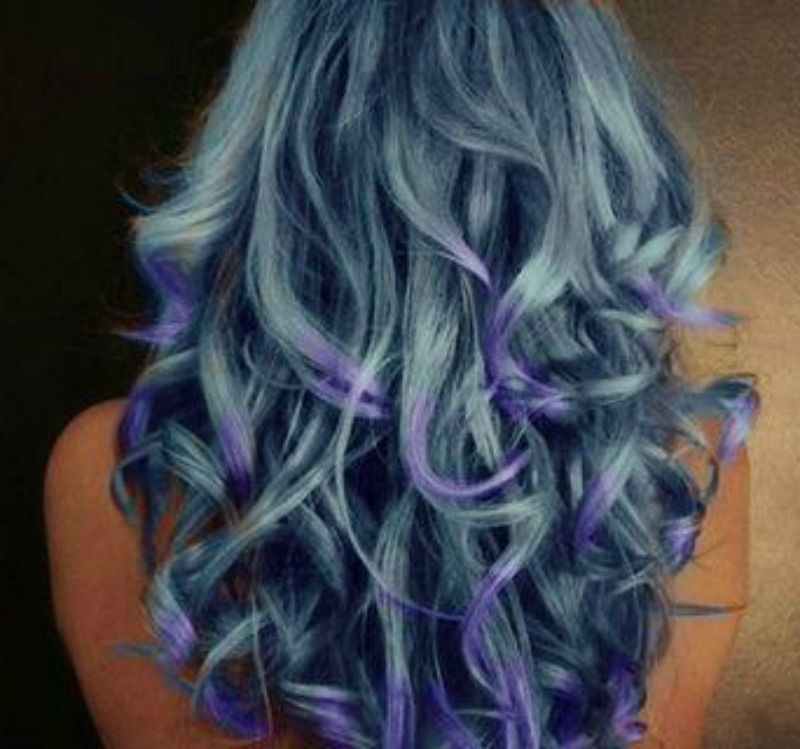 It's a temporary (though messy) option to temporarily color your hair. This is probably best for short hair, that won't rub against your clothing. However, the ladies who created two tutorials I will show you, have long hair. Why two tutorials for this trend that has the same application? Well, it's to show you that it works well on dark and light hair. I'm going to assume this means it will work on any hair color. Below these two hair tutorials is a hair accessory, inspired by Rodarte's star clip from the Fall 2012 runway show. Ok, on to the tutorials. The lovely and quirky Mr. Kate shows us how to make your hair temporarily colorful using chalk pastels on her blonde hair. Chalk pastels aren't the same as regular chalk or oil pastels. They are cream and colorful. 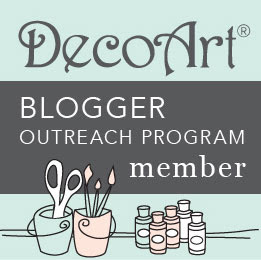 A $5 pack of them can be found at Michael's under the Artist's Loft brand. Kandee Johnson shows us How to do the Hair Chalk Trend on her brunette hair. She uses the same pack of Artist's Loft Soft Pastels from Michael's. Using water, and the white chalk on the hair before applying the color, really helps the colors pop on her dark hair. I have dark hair, so I'm happy this works well. Very possible that I'll use them for a League of Space Pirates show. 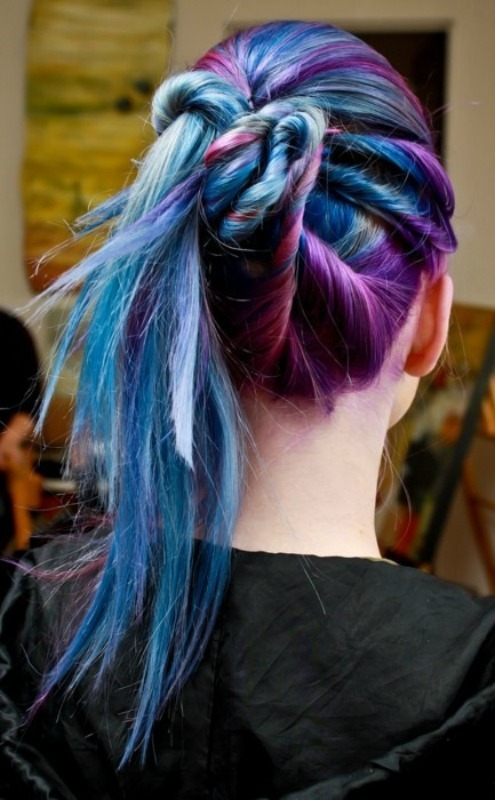 Whether you want colorful galaxy or not, at least try this DIY from Evelina Barry inspired by Rodarte's Hair Clip.